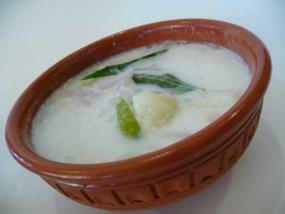 There is nothing like coconut milk to give a little lift in flavor and texture to any dish. 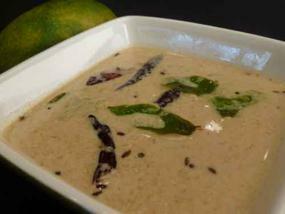 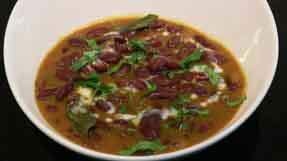 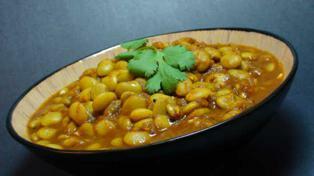 Try this Coconut Rajma Curry recipe and see how yummy kidney beans can get. 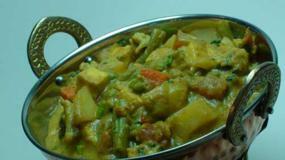 With its creamy texture and subtle flavor, this vegan curry is fabulous with rice or chapati. 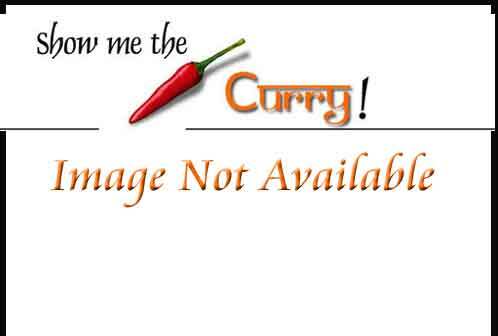 Stocking Stuffers – Great Holiday Gift Ideas from SMTC! 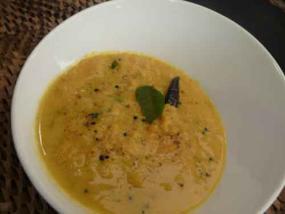 Sprouted Mung ( Moong) Curry is such a simple and easy to make recipe with a wonderful, unique Coconut flavor. 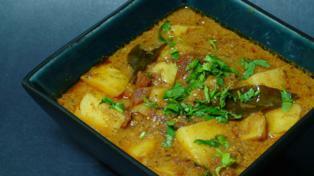 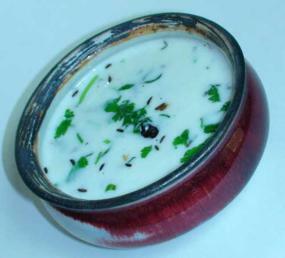 This Konkani (region in India) dish is one that you will remember for a long time. 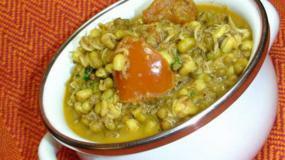 Refer to our previous video to learn how to Sprout Mung Beans. 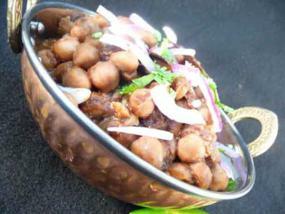 Submitted by:Snehal Puranik This is the Tradional Gujarati dish. 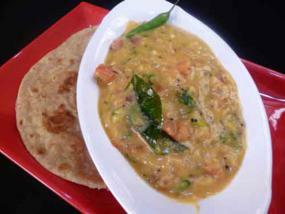 It is a combination of Daal (toor Daal ) and Dhokali ( made of Wheat Flour ) so tasty version of Daal- roti. 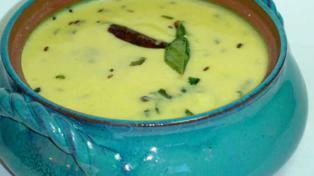 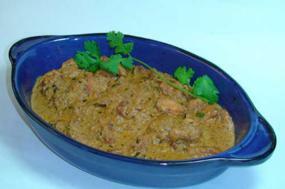 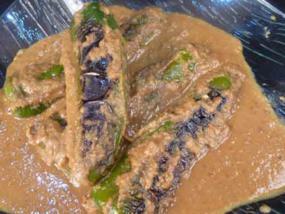 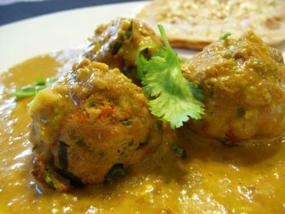 Malai Kofta is a well recognized Indian curry dish which is traditionally very rich. 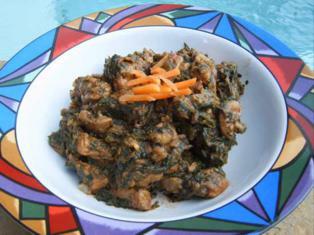 Try this recipe for a healthier version that you can enjoy at home without all the guilt. 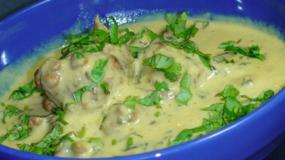 The koftas (dumplings) are baked, not fried. 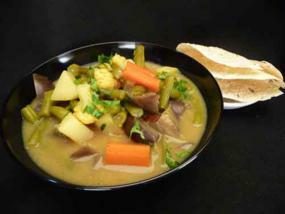 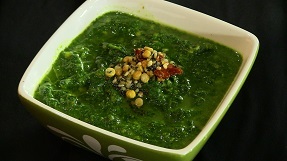 It is still very flavorful and very delicious! 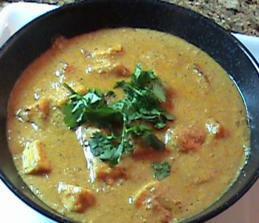 The literal translation of Shahi Paneer is ‘Royal Paneer’ which is very appropriate name for this dish, fit for a king. 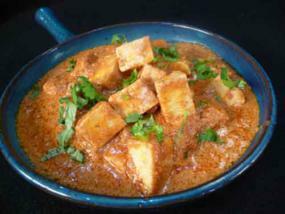 Paneer, a home made cheese, is accompanied with a rich and creamy sauce made from cashews. 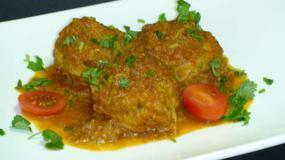 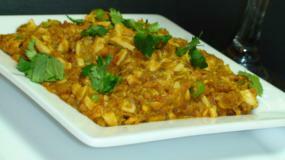 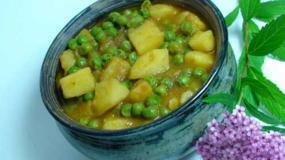 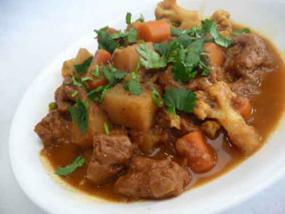 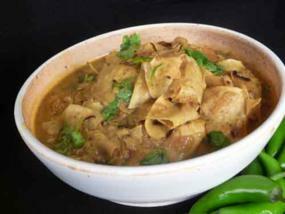 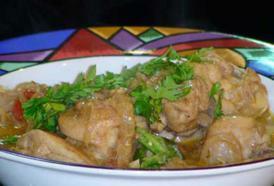 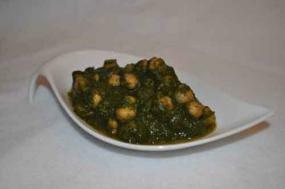 Try this delectable and flavorful Indian dish which is a restaurant favorite.